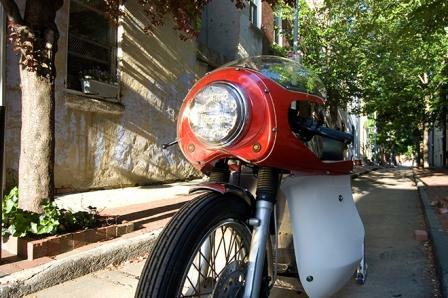 The Volta 102 is not your typical motorcycle. 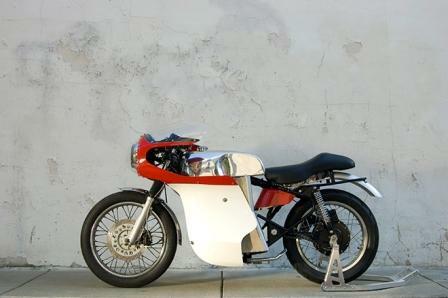 But James Hammarhead is not your typical motorcycle builder. Hammarhead is a clinical neuropsychologist and expert in fMRI paradigm design. 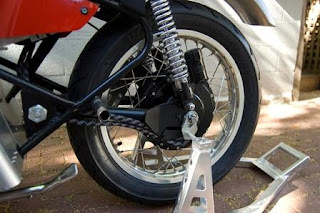 When he isn’t doing research at University of Pennsylvania, you’ll find him riding or wrenching on an old-school motorcycle. He’s got a thing for British bikes and usually has a project in the works. That passion for vintage iron led him to launch Hammarhead Industries, a boutique builder creating retro British bikes with a twist. And, in one case, a cord. The Volta 102 that Hammarhead built in just three months is one in a growing field of electric street bikes but the first to go retro. The old-school aesthetic follows Hammarhead Industries’ mission statement, which comes down to “keep it simple, stupid.” Hammarhead isn’t interested in fuel injection or ABS or carbon fiber components. 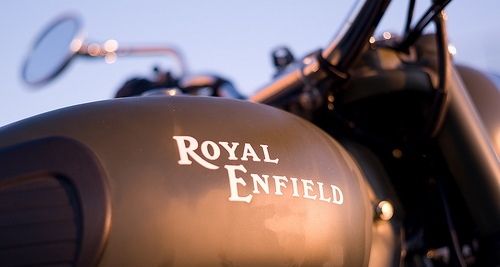 His love affair with minimalism was cemented riding a Royal Enfield through India. The bike was elemental and irresistable. The Volta uses an EnerTrac hub motor. It makes 10 kilowatts (13.4 horsepower) continuous and 30 kilowatts (40 horsepower) peak. That’s a big jump over the Bullet’s 18 ponies. Both the Volta and the Bullet weigh 368 pounds, so the conversion made the bike faster. The motor is, in theory, capable of 118 mph. Hammarhead is shooting for somewhere around 100. You’d think the unsprung weight of a 45-pound motor would bugger the handling. But Hammarhead says it isn’t an issue “because we’re not at the edge of the performance envelope.” The motor was designed for motorcycles and scooters, so durability isn’t a concern, says Mark Gelbien, the guy who designed it. The lithium iron-phosphate battery pack is rated at 6 kilowatts. It has 32 cells but can take as many as 36 to increase range or power. Hammarhead says it’s good for 50 to 70 miles, depending upon how hard you’re flogging the bike. The fake fuel tank houses two 110-volt, 15-amp chargers that will charge the battery in four hours. An external charger drawing 110 volts at 20 amps does it in two. Regenerative braking returns energy to the pack, and you can dial it in anywhere from 10 to 90 percent. Hammarhead says the system “works and feels like engine braking.” Hammarhead built the bike with off-the-shelf parts to ensure reliability. Hammarhead unveiled the Volta, along with the Woodsman 500 and Jack Pine, April 16 at a gallery in Philadelphia. The Jack Pine, a riff on the Triumph Scrambler, got the most attention but the Volta got some love too. The first Volta is a prototype that Hammarhead is still refining, but he plans to build as many as three more this year and five next year. They aren’t cheap at $18,500 and Hammarhead knows the Volta is a niche bike. That’s the point. He says filling a niche will be the only way to survive once the big manufacturers make the startups building electric superbikes and dirtbikes irrelevant. 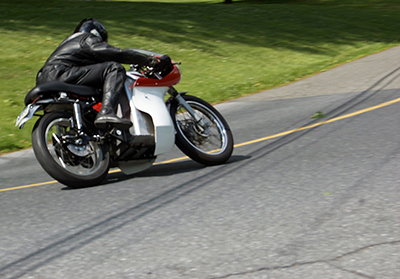 Hammarhead is planning a more conventional electric motorcycle with an upright riding position. He’s also kicking around the idea of a biodiesel bike. He’ll always love retro rides but says alt fuel is the future. Hammarhead is a mashup of his last name and his wife’s last name, and he goes by his given name James Loughead in the academic world. Although the Volta 102 looks like something your father (or grandfather) might have ridden, it started out as a 2005 Royal Enfield Bullet 500. The electric drivertrain uses off-the-shelf parts. Hammarhead built the bike in three months. The reproduction Smiths speedometer keeps the retro theme going. 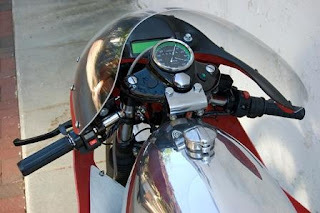 The polished fuel tank houses a pair of 110-volt 15-amp chargers. Propulsion comes from an EnerTrac MHM-602 hub motor designed for scooters and motorcycles. It’s good for 10 kilowatts continuous and 30 kilowatts peak. Hammarhead is shooting for a top speed somewhere north of 100 mph.